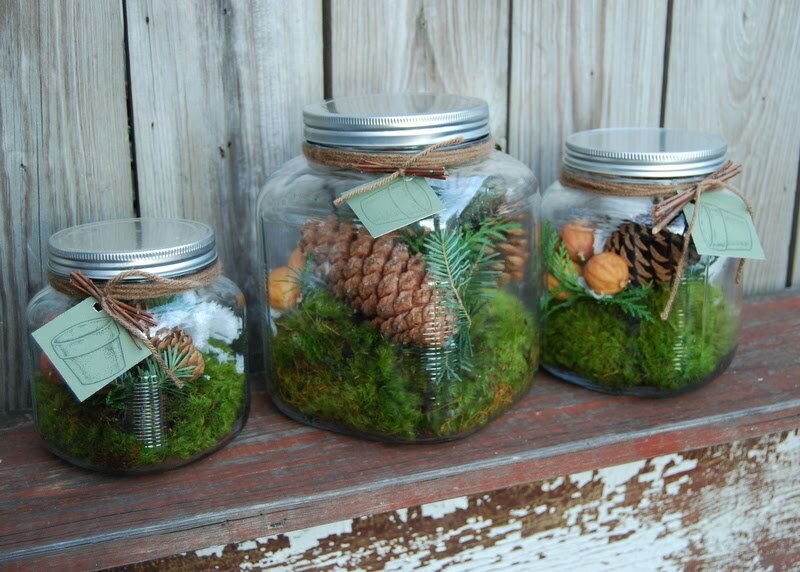 Here’s the Dirt…A Quirky Idea from The Clay Pot…"Christmas in a Jar"
Looking for a quirky, fun and different holiday decorating idea? 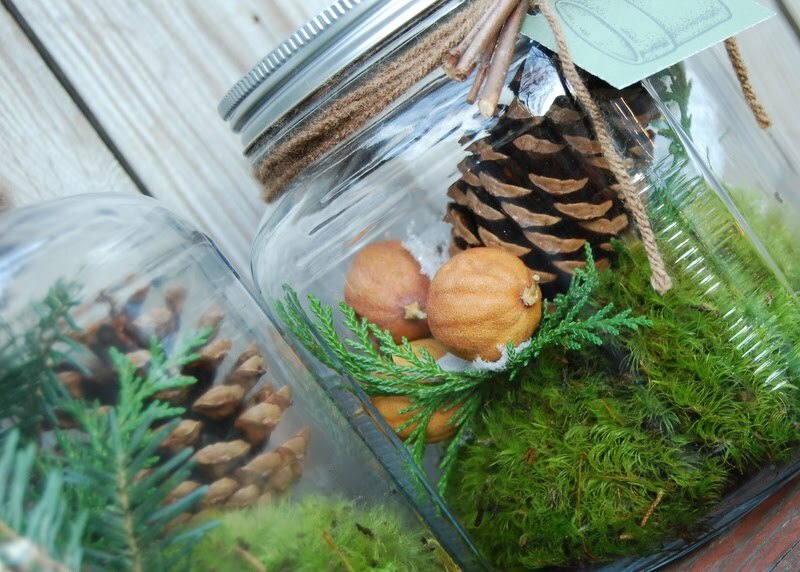 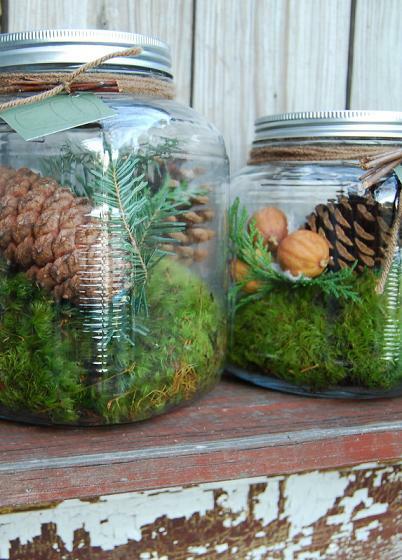 Mood moss, cedar, spruce, pine cones, dried lemons…and a touch of snow! 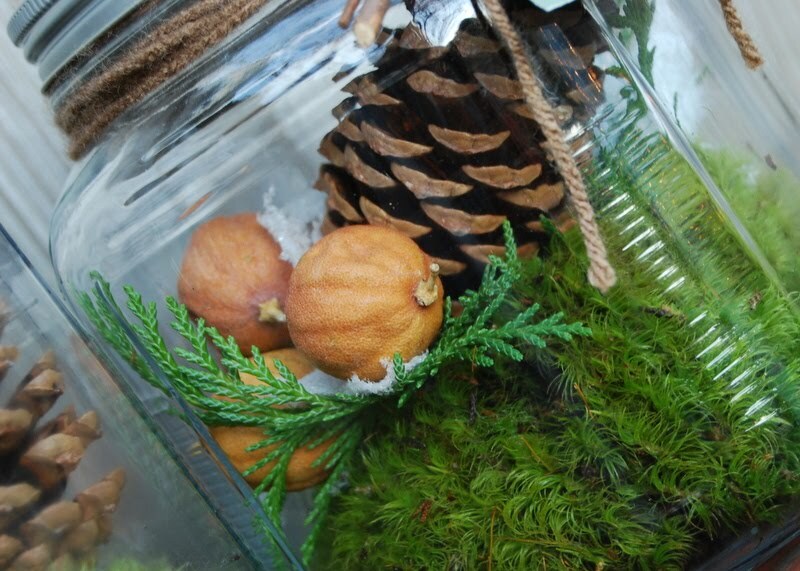 on a mantle, sideboard or table.